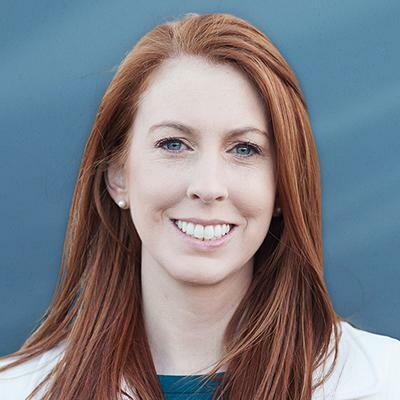 Structural Engineering Alumna, Dr. Lauren K. Stewart, became a faculty member in the School of Civil and Environmental Engineering at Georgia Tech in 2013. She received the NDSEG Fellowship from the Army Research Office to support her Ph.D. in Structural Engineering at UC San Diego, where she also completed her M.S. and B.S. degrees. Dr. Stewart is currently the Director of Structural Engineering and Materials Laboratory at Georgia Tech, and her research employs innovative experimental strategies to investigate the behavior of structures subjected to extreme environments. Her research on explosive and shock effects has impacted various national security programs. Since joining Georgia Tech, Dr. Stewart was named a New Voice of the National Academies of Science, Engineering, and Medicine. She received the GT CEE Research Program Development Award, the Women in Engineering Teaching Excellence Award, the Bill Schutz Junior Faculty Teaching Award. She was also named an Air Force Summer Faculty Fellow, a 2017 Rising Star in Structural Engineering and is among Engineering Georgia's 100 Most Influential Women in Engineering. The engineering challenge sounds like a nearly impossible task: making a canoe out of concrete that can float—and race—on water. But ask anyone on the UC San Diego Concrete Canoe team, and they’ll tell you it’s not only possible but also a highlight of their engineering experience at UC San Diego. The team is hoping to reach the podium at this year's national race. The University of California San Diego Jacobs School of Engineering was just ranked the #11 graduate engineering program in the country by US News. 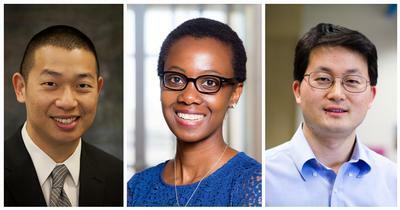 Hear from more than 200 of these talented graduate students as they present their research at the 38th annual Jacobs School Research Expo, a showcase of the top engineering and computer science work underway at UC San Diego. Morgan Funderburk, Structural Engineering PhD student, competed and won the opportunity to participate in several high profile programs: 1. California Council of Science and Technology (CCST) California Science Translators Showcase Showcase https://ccst.us/ccst-st-week-2019-science-translators-showcase-photo-gallery/ On February 6, CCST hosted its third California Science Translators Showcase, featuring graduate students and postdoctoral researchers from UC Davis, UC Irvine, UC Merced, UC Riverside, UC San Diego, UC San Francisco, Stanford, and Caltech, who discussed their research with decision makers in an informal mixer setting. 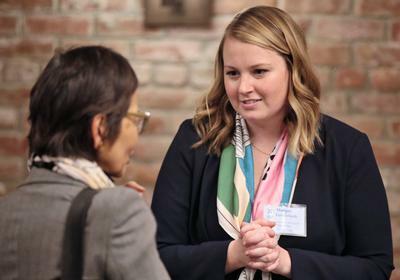 The CCST showcase was organized in partnership with California State Assembly member Jose Medina (D-Riverside), Chair of the Assembly Committee on Higher Education. 2. PREEMPTIVE Costa Rica ASI A week-long Advanced Studies Institute (ASI) in San Jos?, Costa Rica, focused on protective systems for mitigating the effects of natural hazards; this ASI is sponsored by the PREEMPTIVE Multidisciplinary Natural Hazards Engineering Institute Series for Advanced Graduate Students that was funded through NSF?s International Research Experiences for Students (IRES) program. The goal of this series of ASIs is to build a diverse community of researchers across the Pacific Rim, and beyond, who share a focused interest in understanding, promoting and accelerating the adoption of protective systems to provide resilience for building and infrastructure systems and ensure sustainable societies. 3. LANL Science of Signatures ASI The Advanced Studies Institute (ASI) will be held over three weeks during April 15 ? May 3, 2019. The students work in 3-person multidisciplinary teams and are assigned a research topic to studied during the course of the program. Research topics focusing on Science of Signature-Forward Deployment problems are defined by LANL technical staff for the participants. Students will attend daily technical and professional development lectures as well as work on their team research topics. Professional development lectures are given by laboratory staff and managers and outside academics on topics including proposal writing, the tenure process, starting a research group at the lab, and commercializing technology developed at the laboratory. 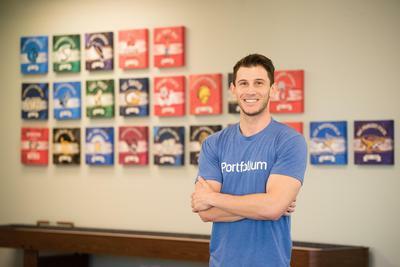 Structural Engineering Alum, Adam Markowitz ’08, founded Portfolium, Inc. a software company dedicated to connect learning with opportunity, enabling students to recognize, showcase and articulate the skills and competencies they acquire along their academic journeys. In Feb. 2019 Portfolium was acquired by Instructure, and according to Adam, on its way to an even bigger journey, expanding Adam’s vision to support lifelong learning and development. 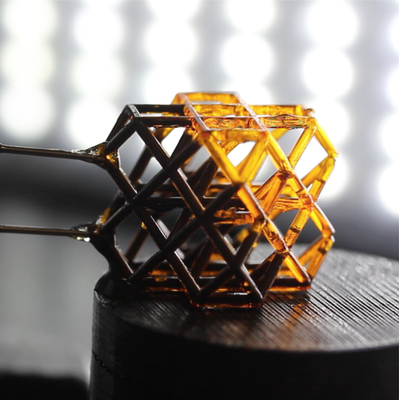 A team of researchers have developed an entirely new class of metamaterials that can nearly instantly respond and stiffen 3D printed structures when exposed to a magnetic field, a development that could be applied to next-generation helmets, wearable armor and a host of other innovations. ARTS DISTRICT Liberty Station will be illuminated this holiday season with a new temporary art sculpture, ?Toying with Light? by Nico Meyer. 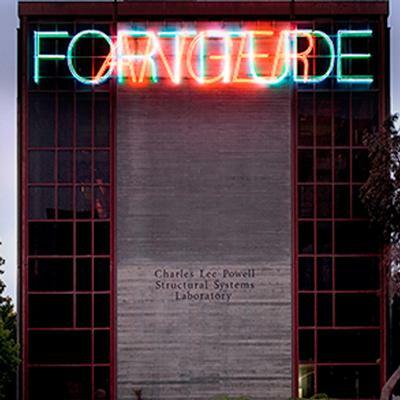 Selected by the NTC Foundation?s Art in Public Places Committee, ?Toying with Light? is the fourth annual Illuminate the Season art installation. The kinetic light sculpture will be lit on November 30 as part of the kickoff event for Salute the Season, a full calendar of festive events celebrating the holidays from November-January. 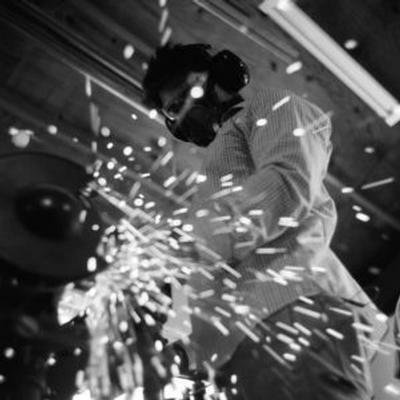 Nico Meyer, a San Diego-based artist and structural engineer, has been fabricating metal and wood sculptures for over 10 years. He holds a Master?s degree in Structural Engineering from the University of California, San Diego. Meyer?s experience with mathematics, structures, and algorithms has major influence on his art practice. Through art he explores the beauty of contrast, simplicity versus complexity and uniformity versus randomness. ?Our brains are pattern-making machines,? says Meyer. ?Individuals and communities actively create and alter patterns. This piece represents shared experience, a quality that makes the holidays special,? he said. 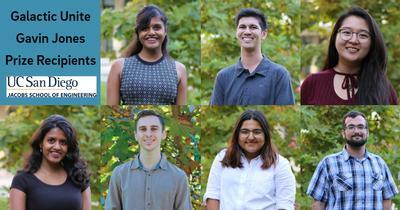 Seven UC San Diego Jacobs School of Engineering students were selected to receive the inaugural Galactic Unite Gavin Jones Prize, which recognizes undergraduate students at UC San Diego studying science, technology, engineering or math with a desire to make an impact on the space industry. The winners each receive a $1,500 cash prize, plus a mentor from either Virgin Galactic, Virgin Orbit or The Spaceship Company. 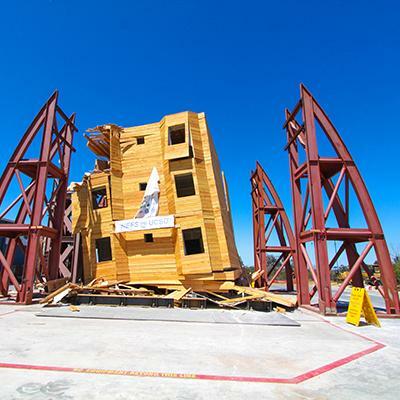 The world’s largest outdoor earthquake simulator, operated by structural engineers at the University of California San Diego, has received a $16.3 million grant from the National Science Foundation to upgrade the facility to expand its testing capabilities. 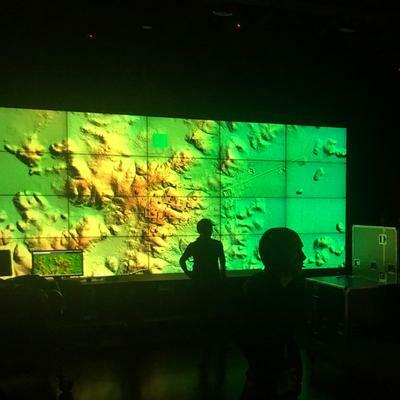 The funds will enable the simulator, also commonly known as a shake table, to more realistically recreate the motion of the ground during strong earthquakes. 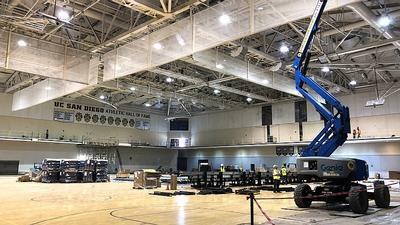 The arena upgrades are being led by a former UCSD student and athlete. "This is a dream job for me," said Turner Project Manager Brett Stuckey. "Going to school here, studying structural engineering, graduating in 2009 ? being able to come back and build the new face-lift for the arena that I got to play in that?s the best that you could hope for." Stuckey played on the UCSD men's basketball team from 2006 to 2009 and said renovations will change the game day experience. "With this new upgrade they?re going to pull out the bleachers for every game," Stuckey said. 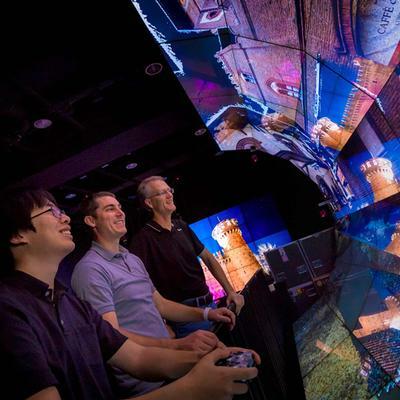 "So the players will get this full-on arena and stadium experience every single game. Whereas when I was here it was just the two sides were pulled out." 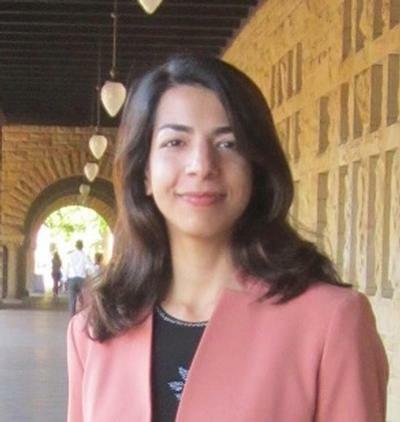 Dr. Shabnam Semnani has accepted the position of Assistant Professor in the Structural Engineering Department at UC San Diego. She will join the department on July 1, 2019. Dr. Semnani's research focuses on characterization and modeling of heterogeneous geomaterials across scales, and development of multi-scale and multi-physics models to link the micro-structure and macroscopic behavior of these materials. This is achieved by combining statistical, computational and numerical modeling methods with experimental techniques conducted at various scales. Some of the applications of her work include carbon sequestration, hydrocarbon recovery and geothermal energy production. Structural Engineering is excited for Dr. Shabnam Semnani to join the department. Thanks to the support of the Charles Lee Powell Foundation: over the last three decades, UC San Diego engineering research has positively impacted the San Diego region and far beyond. When you drive across a highway bridge in California, for example, there is a good chance that your safety depends on a piece of technology that has been developed and tested at UC San Diego. Here are some highlights from the impressive resumes of the 2018 Jacobs School of Engineering student award winners, recognized by the IDEA Engineering Student Center and Dean Albert P. Pisano at the Ring Ceremony. Top performing engineering student leaders were honored at the 9th annual Engineering Leadership Awards celebration on May 17. 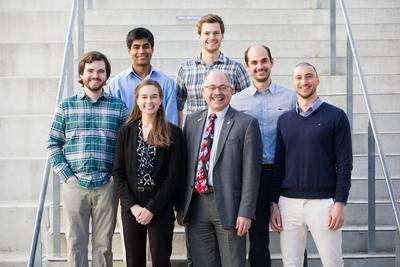 The event, presented by the Gordon Engineering Leadership Center at UC San Diego, recognizes undergraduate and graduate engineering students who demonstrate extraordinary leadership through their communication skills, teamwork abilities and implementation of technical solutions in competitions or real-world challenges. 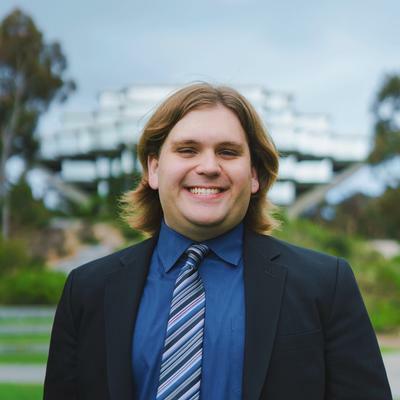 The research presented at Research Expo 2018 was “on fire” thanks to UC San Diego mechanical engineering graduate student Luca Carmignani. He took home the top prize at Research Expo for his work to understand the spread of fire over real-world 3D shapes. 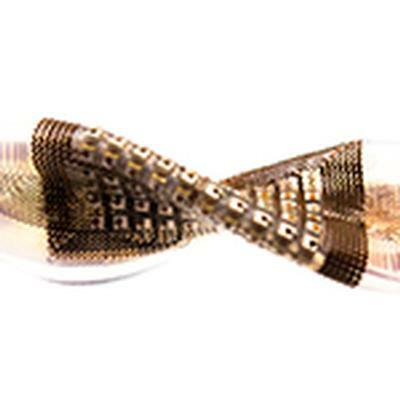 Researchers have developed a stretchable, flexible patch that could make it easier to perform ultrasound imaging on odd-shaped structures, such as engine parts, turbines, reactor pipe elbows and railroad tracks—objects that are difficult to examine using conventional ultrasound equipment. The ultrasound patch is a versatile and more convenient tool to inspect machine and building parts for defects and damage deep below the surface. 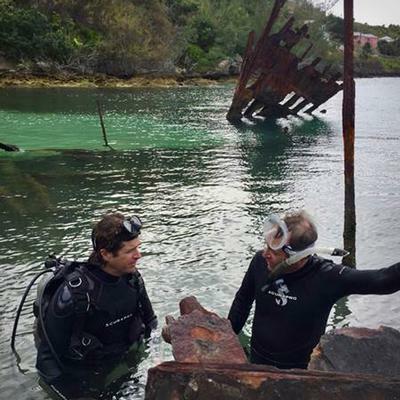 PBS NewsHour aired the first of a two-part series tonight on the Bermuda 100 Challenge, a joint initiative between the University of California San Diego’s Cultural Heritage Engineering Initiative (CHEI), the Bermuda Government’s Marine Heritage Section of the Department of Environment and Natural Resources and Look Bermuda. A collaborative group of researchers from the University of California San Diego traveled to Turin, Italy recently to digitally map an entire portion of the city—complete with historic architecture, expansive murals and stunning works of art. 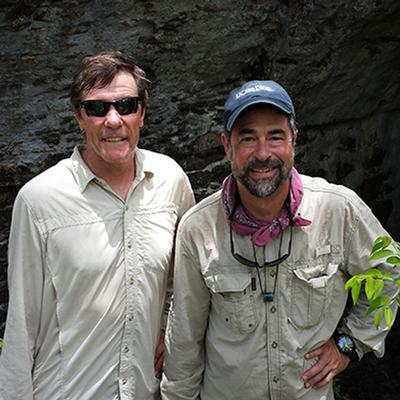 Lost Treasures of the Maya Snake Kings," a new one-hour National Geographic special premiering FEb. 6 at 9/8 p.m. central, shows how LiDAR laser imaging technology is revolutionizing archaeology and features the WAVE data visualization technology created by researchers at the University of California San Diego. Albert Yu-Min Lin, who earned a Ph.D. at the Jacobs School of Engineering at UC San Diego, hosts the program.